The Steans family-Harrison, Lois, and their three daughters, Heather, Jennifer, and Robin-created the Foundation in 1986 in order to sponsor a class of sixth graders through the "I Have a Dream" program. The family got to know the 35 students and their families well, working with them as they made their way through high school, family changes, and the difficult transition of leaving school. The Steans' commitment to these "Dreamers" continues to this day. Having learned through experience the range of issues facing individuals and families in struggling communities, the Steans family decided to work holistically within a single community rather than spread its giving across the entire city. With efforts concentrated in one community, individual family members could become more personally and actively involved in the Foundation's grants and programs and make a greater impact with their resources. With this goal of personalized and entrepreneurial partnership in mind, the Steans Family concentrates on the North Lawndale Community on Chicago's west side. In addition to its dramatic cultural history, North Lawndale boasts significant physical assets and a vibrant array of human and institutional resources. At the same time, the neighborhood faces a familiar range of urban ills and challenges, including high poverty and unemployment rates. 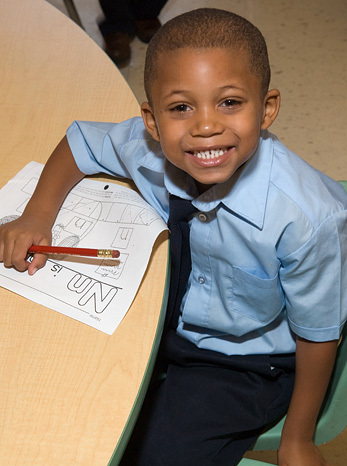 The combination of high unmet need and local strength made North Lawndale an ideal partner. The family's familiarity through their work with "I Have a Dream" showed that a long-term personal involvement with individuals could change lives; they believe that this is also true for communities, such as North Lawndale.